Size: 20 x 23 inches. Title: 'Synopsis plagae septentrionalis, sive Sueciae, Daniae et Norvegiae regn. accuratissime delineatum'. 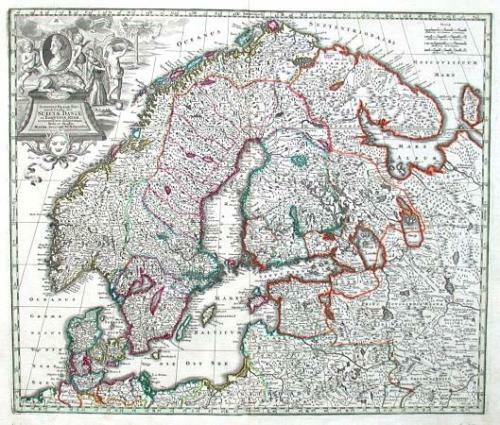 A copperplate map of Scandinavia with the Baltic republics in beautiful original colour. There is an elaborate uncolored cartouche in the upper left and a wealth of detail throughout.